A series of photos by Reddit user adambard show the making of this — the best driver's license in the world. No funny face, just a harlequin half-bearded, half-shaved head that looks as fake as possible. Actually, it's very much real. 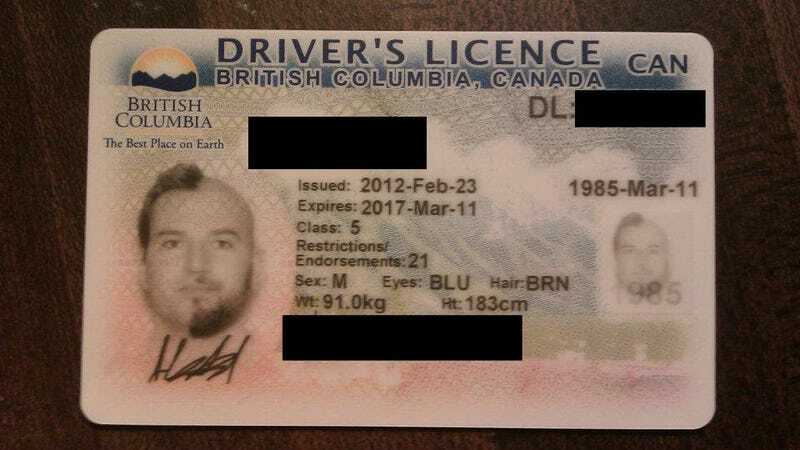 At least he'll never have to worry about the government trying to get his license revoked for looking too generic, which happened to a guy from Massachusetts last year.